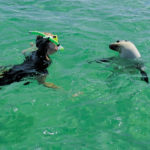 Join our Great White Shark Cage Dive plus a Swim with Sea Lions Combo tour. Imagine spending a relaxing moment swimming with Sea Lions. 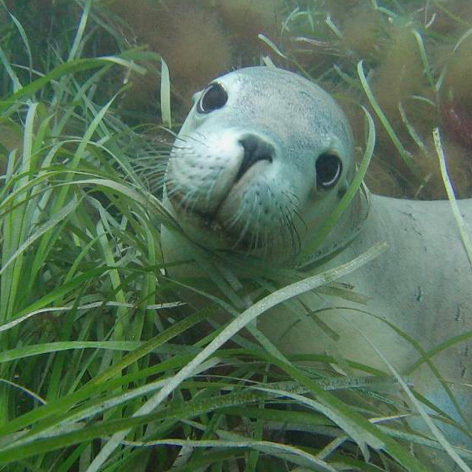 These puppies of the sea, as they are affectionally known are friendly, inquisitive and playful. Incomplete contrast you will also get to dive (within the safety of a shark cage) with the fiercest apex predator in the southern ocean – the Great White Shark. A day of amazing contrasts. 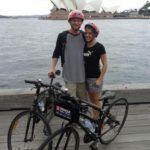 You will join this tour from Port Lincoln in South Australia. Head out for a leisurely cruise to our sea lion location at either Hopkins or Grindal Island. Wetsuits, masks and snorkels are all included and one of our crew members will be in the water al all times. Once in the water, its a magical experience as the Sea Lions love to entice you to play as they summersault and glide effortlessly past you. After about an hour of swimming with the sea lions, its back in the boat and we head to Neptune Islands Marine Park where we will spend the afternoon shark cage diving with the magnificent Great White shark. 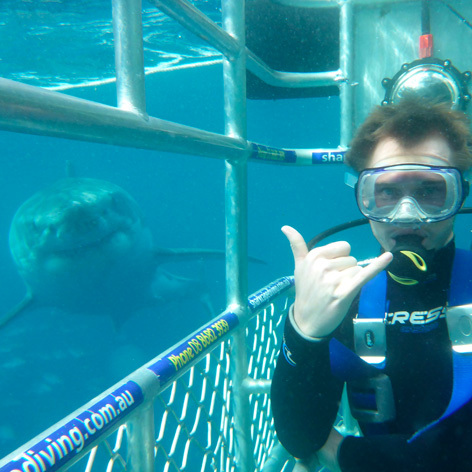 You will spend approximately 30–45 minutes dive time in the cage watching the Great White sharks swim. No diver qualification or previous experience is required! After the day's diving has completed we'll enjoy a fully cooked dinner at sea and enjoy a twilight trip back to port. 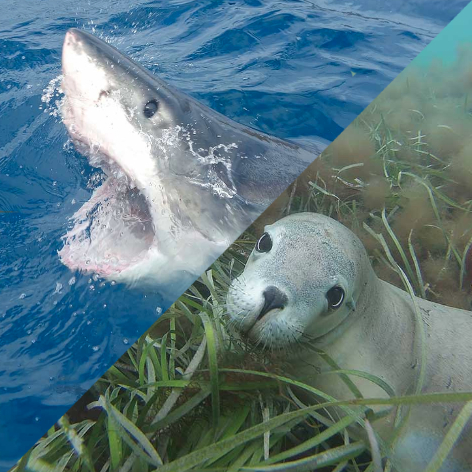 Plenty of time to reflect on the days interactions with both the puppies of the sea and the apex predator of the sea. What a day of contrasts! This tour operates between the months of September and May. Note: As we are committed to minimising the impact to the sea lion colonies we visit we do not offer this tour every day. Please check our calendar for tour dates. Is 60 foot long and the fastest vessel to Neptune Island Marine Park. During some months this tour also boards at 6.30am. On this trip the tour maybe run in reverse and breakfast is served instead of dinner. Wetsuits, masks, snorkels, fins, hood, boots, gloves. 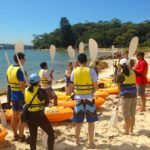 11.00am tour – Morning tea, lunch, afternoon tea, cooked dinner and light refreshments all day. A waiver form signed by a parent or guardian if the guest is under 18 years. Your camera. GoPros can be hired on board. A warm jacket is a must in winter.